What child wouldn’t love to imagine a magical secret garden filled with their favorite animals, and then act it out? 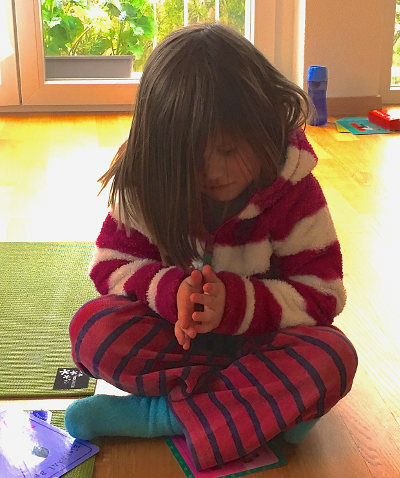 Yoga is a wonderful way for children to connect and feel comfortable with, their own body and mind. 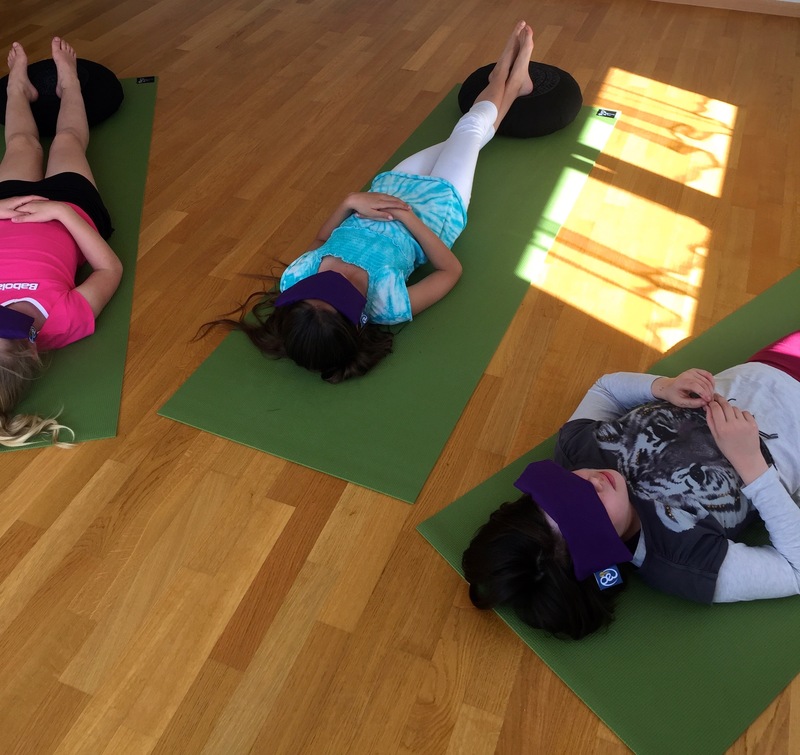 It teaches them about correct breathing and relaxation techniques, healthy bodies and the balance between strengthening and stretching their bodies. 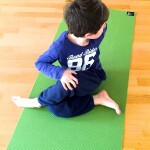 So WHY do little boys HATE doing yoga so much?! 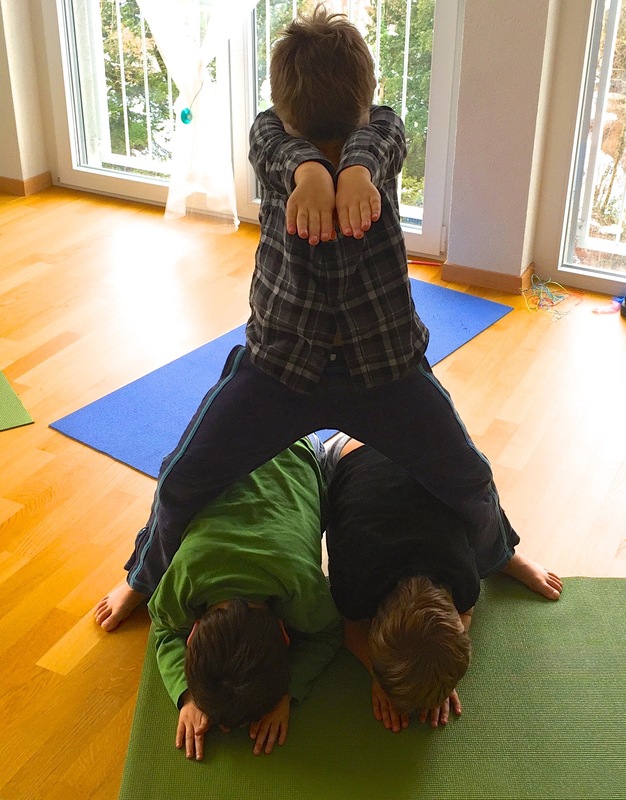 1) In my years of teaching yoga to hundreds of children in schools, group classes and private sessions, I can safely say that boys don’t enjoy it as much as girls. Little boys simply tend to be too active and too impatient, especially in a group setting! The Ashtanga yoga sequence was originally designed for young men going through puberty, especially to curb sexual energy. 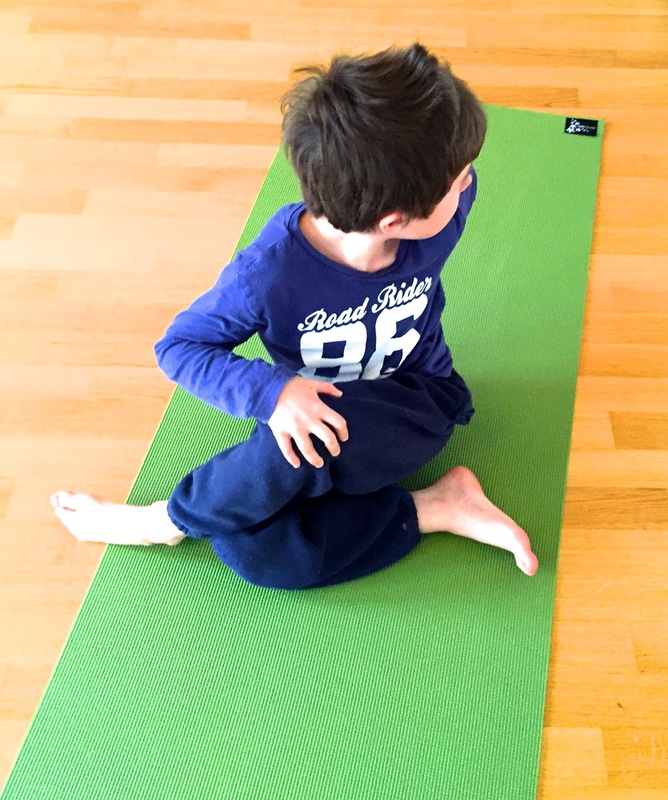 The problem with this for little boys is that Ashtanga yoga classes are a standard set of poses and movements that never change, and require focus, memory and commitment. Not virtues men tend to have let alone boys! And how many young boys do you see keen to learn repetitive dance routines compared to their female counterparts?? Where adult classes usually have a structure and are a personal meditation in movement (usually no talking or socializing during class), kids yoga classes are unpredictable and varied. Make a class plan by all means but always be prepared to have 10 back up plans up your sleeve at any point and be flexible! You can cover all of the above necessities for a full rounded yoga class by: starting by having the kids lie down and visualize the beginning of your story while doing a breathing exercise. They may then work on imagination, team work and confidence skills making up the rest of the story as a group. It can then be transformed into static and moving poses representing the different aspects of the story, covering a full range of postures to strengthen and stretch their bodies. Ideally the children will work on some meditation techniques as well as have some relaxation time towards the end of the class. 2) So YES, I hear you say, boys love to pretend to be lions or aliens or robots, and have wonderful imaginations too. BUT the problems arise when quite simply you can’t tire them all out enough to be focused or sit still! Can you remember the most boring class you ever sat through and how you would almost chew your own arm off just to give you something to do? That is how most little boys in the class feel when you try to get them to sit and focus on even 5 breaths. Or lie down and imagine a flower growing! Or staying still in any yoga pose for longer than 4 seconds! And even in a time of Conchita Wurst and Caitlyn Jenner, they are STILL less likely to be learning the dance moves to One Direction than the girls! Therefore learning a yoga flow routine is practically out of the question! 3) Lastly boys naturally tend to be more competitive which is a characteristic often celebrated in our societies. Again the problem here is that yoga is completely noncompetitive! There’s no point system, net, hoop or goal! Psychologically this can simply be a bit confusing for a young boy used to having objectives in his exercise and leisure time. Invariably it renders yoga ‘boring’ or ‘pointless’. Girls on the other hand tend to have a vanity streak earlier in life and a propensity for wanting to be healthy and having an understanding of being good to their bodies. My advice? If possible start your son on Ashtanga yoga from about 13/14 years old and leave active little boys to do energetic sports that will tire them out. BUT make sure that they are stretching accordingly before and after, and that the sport is a physically balanced one (using both sides of the body and all muscle groups). This is not to say that little boys do not benefit GREATLY from yoga workshops and shorter courses, and all parents should consider them. Boys are usually more disconnected from their bodies and their minds than girls and often more inflexible due to the kinds of sports they do. And of course boy or girl, oxygen is the most important food for every cell in the body and children especially benefit from learning to breath correctly from an early age. They learn that it helps overall better health, concentration and relaxation. 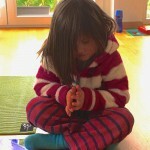 Girls usually love any yoga class themed around flowers, animals, clouds, magic/imaginary places, rainbows, stars etc. In fact if you’re lucky you can structure an entire class theme around a single flower, from a seed, all the way through it’s life cycle, and back into a seed, and they’ll love it! Either way I will let you into a little secret when teaching yoga to kids, whether typical children or special needs. You will often have to give them some sort of goal to bribe them into doing what you want! Avoid sugary or unhealthy treats, make sure you know if there are any allergies in the group and don’t make it a habit they will expect at the end of every class! On extreme dire occasions I’ve been known to use my gluten and dairy free choc chip cookies or organic gummy bears! Mostly I try to get them to gently compete against themselves i.e. “count in your head and see how long you balanced for on each leg and then next week you can try to count for even longer” or “whoever I see lie the stillest, breathing nice and deep for 5 minutes, gets to tell our relaxation story at the end of today’s class”. Find out more about how you can support your child using yoga; the amazing benefit to their well-being; giving them a great start in life, as well as information about courses available for both boys and girls, on the dedicated Group Classes area of this site. 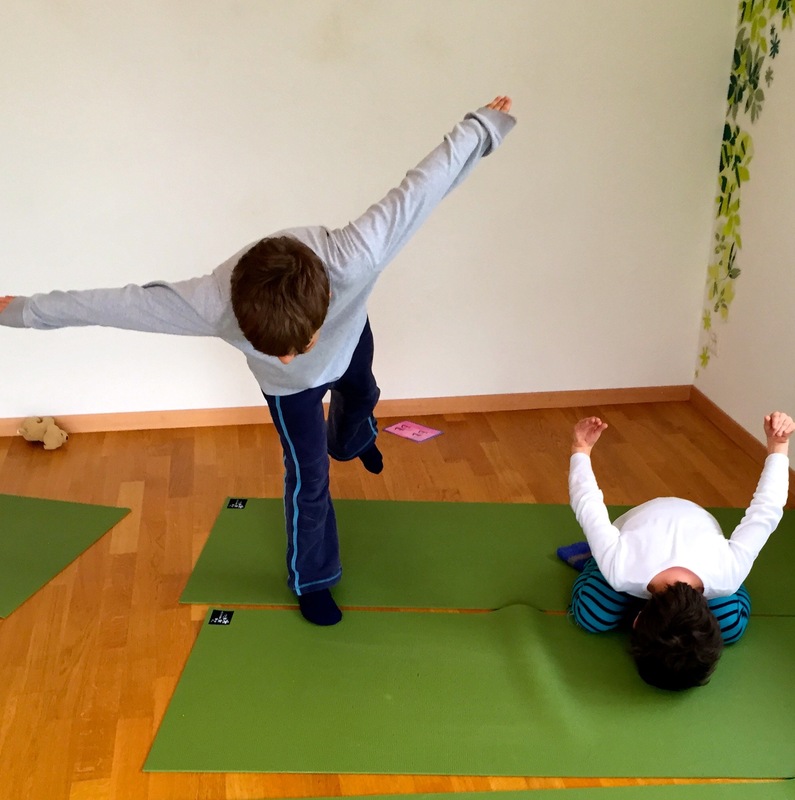 DAD + SON Yoga Workshop, Sunday 4th Oct 10am – MORE INFO HERE!